Welcome to 45 Beech Crest Rise. This lovely home is situated on a beautiful .89 acre lot in Leicester. This updated 3 bedroom, 2 bathroom home has a great open floor plan, 3 decks, and so much more. 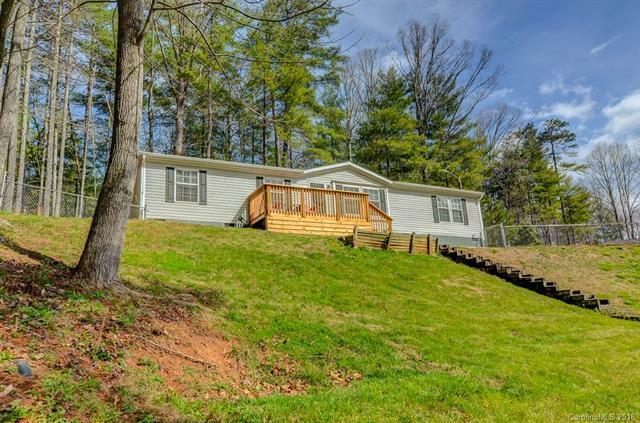 The exterior has a large fenced in front yard, a front deck and two rear decks. One of the rear decks is extra braced to support a hot tub. Inside is a great open floor plan, large living room and kitchen, large master bedroom and bathroom, a large den, and more. The den is very spacious with a wood burning fireplace and a sliding glass door that leads to the large rear deck. The kitchen has ample countertop space, cabinets, and a laundry room. The side and rear of the property are surrounded by trees for added privacy. New Heat Pump installed May 2017, newer commodes, decks, rear retaining wall, smoke detectors, outside lights, and gutter guards. Come see everything this home has to offer!